A Golconda native, Lay left after a 20-year stint on the University of Texas’ faculty to take Southern’s reins — becoming its seventh chief executive — in 1945. Southern grew to include three colleges and a strong graduate school, which precipitated an Oct. 23, 1947, move by the 65th General Assembly to drop the Normal from the institution in favor of renaming it Southern Illinois University. 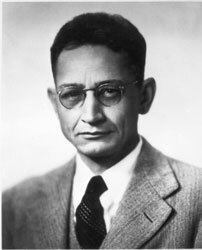 The first formal research conducted at SIU began in 1948 with Lay’s appointment of internationally known geneticist Carl C. Lindegren as a research professor of biological science. Today, one of the University’s buildings, Lindegren Hall, stands as a memorial to the scientist who first brought in research grants. Lay resigned to accept a job at Southern Methodist University in Dallas that same year.